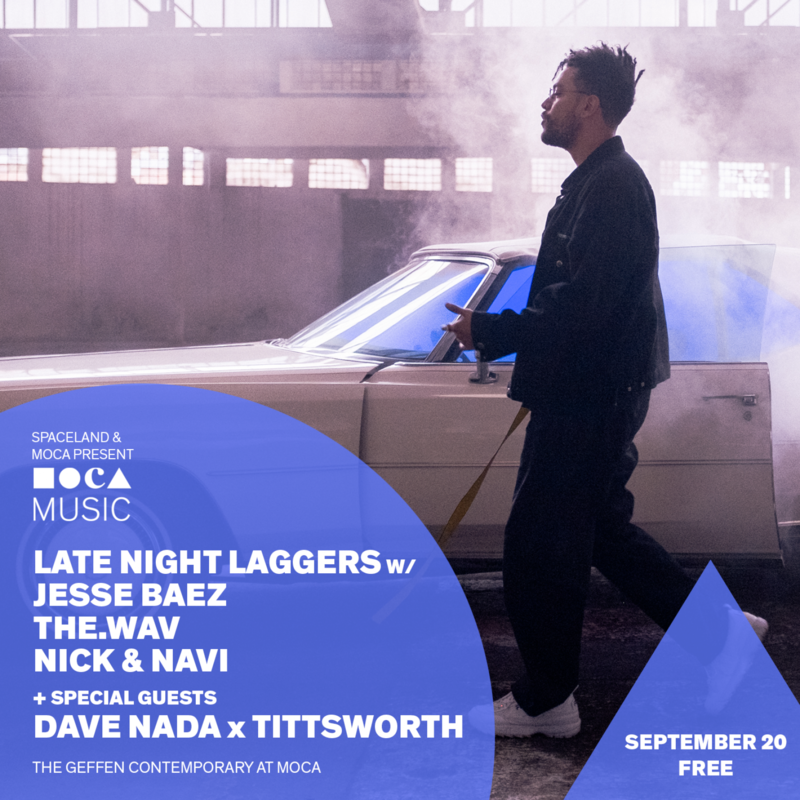 MOCA Music’s September 20 performance features LATE NIGHT LAGGERS with JESSE BAEZ, THE.WAV, NICK & NAVI + special guests DAVE NADA X TITTSWORTH. Alongside the performances will be food trucks, drinks, and regular museum programming. The MOCA Music series is FREE with RSVP, priority entry for MOCA members.